The annoying black dot is gone! What this means, is that dust on the front lens element generally does not impact your images, but dust on the rear lens element does. 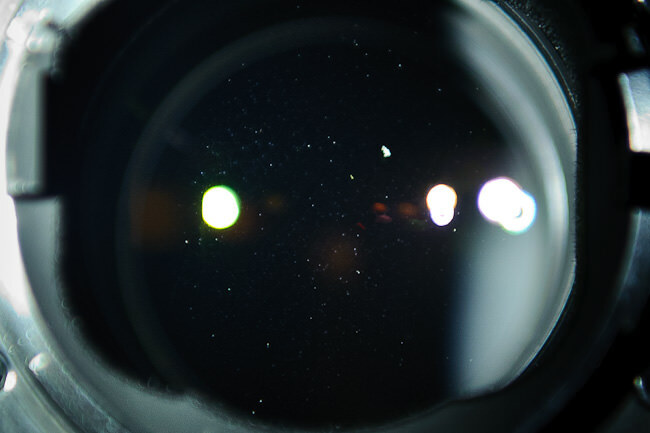 The explanation is quite simple – light enters the front lens element through different angles and gets reshaped by other lens elements inside the lens. Hence, it does not affect the image. The dust on the rear part of the lens, however, does affect the final image because the light directly hits the sensor and anything blocking the light will also show up on the sensor (especially when it is large). Always keep the rear lens element of your lens clean! 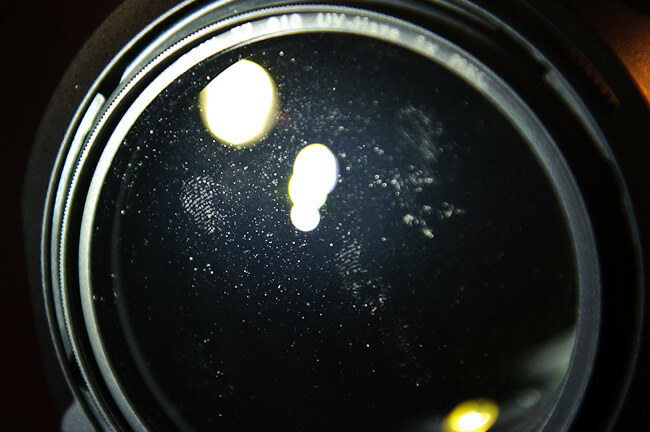 If you do not know how to do it, my next article will be on how to clean SLR lenses. tenkss! it’s help me lot!! I need your advice — what’s the best way to clean the back element of the 70-200VRII? As you’ve probably noticed, its a bit difficult to get in there and the annoying felt lining is incredibly flakey. Every time I wipe the back, it just knocks “hairs” loose from the felt. Nikon uses a terrible material for such a sensitive area of the lens. Don’t worry, you are not alone :) Cleaning the rear element of the 70-200mm is indeed very painful. What I personally do, is I use Visible Dust’s sensor cleaning swabs for this. Once I use one for cleaning the camera sensor, I remove the white cloth from the swab, then use Tiffen’s lens cleaning paper with some scotch to wrap around the end. I then put a drop of lens cleaning solution on it, thoroughly clean any marks and dust, then use Giotto’s rocket blower to remove the remaining pieces from the paper. You might want to do this several times, once with a wet paper and another with a dry. Make sure to put several layers of paper on the end and then blow off the paper pieces from the DIY swab before cleaning. Thanks, I’ll try your way. I’ve been using a microfiber cloth wrapped around a cotton swab dipped in fluid. But the cloth gets “snagged” (actually that shouldnt be in quotes — its gets snagged a LOT) by the annoying, terrible felt lining of the 70-200. Thus, the cloth ends up pulling more dust onto the lens than it cleans. Thanks for sharing such wonderful examples of how dust on the rear element affects the bokeh quality. Used lens dealers on eBay will sometimes claim that small scrapes and marks on the front/rear elements will not affect the picture quality, but they’re really only talking about pictures that do not involve bokeh. As seen in this example, small imperfections on the glass will affect the “image quality”. Looks like you’ve been busy writing several new posts ! Sensor/lens cleaning is one area I didn’t delve much into while getting to know about cameras and photography – cross the bridge when you come to it , sort of. Now it is time to start looking out for cleaning the lenses. I just don’t like the band-aid fix – the software approach , so physical cleaning it is for me. My question – how do you figure where the dust is out of the many individual elements inside the lens? The front and rear lenses, the exposed sides that is, are easier – but you’d have to dismantle the lens to reach the inners. That sounds like an expensive affair. Also, you mention even new lenses have dust in them – do they not manufacture/assemble lenses and cameras in a clean room , like it’s supposed to be with IC manufacturing ? Very interesting… good to know. I like these tests you do and I really appreciate your reviews as well. Great site! I like your bokeh image. How do you shoot it? Good explanation. I found your site while searching for an effect I had with one of my pictures. What would cause a solid white oval type shape with fuzzy edges to appear in a photograph taken with a Canon Power Shot digital camera with a built in flash? I don’t mean those dust orbs that appear. This was a solid 100% white oval with a purplish fuzzy edge. (The picture is on my blog.) If there was dust on the lens itself and the flash went off, could that cause a solid white oval to appear in the picture? I’m trying to find a scientific explanation for what would cause this effect. Thanks. Thank you so much for posting this info! I would have gone crazy trying to figure out the problem o dust in the bokeh. I cleaned the sensor twice and still no good. Thought the sensor may have some damage issues until I read your article. Oh yes, same kind of problem is there with my lens. 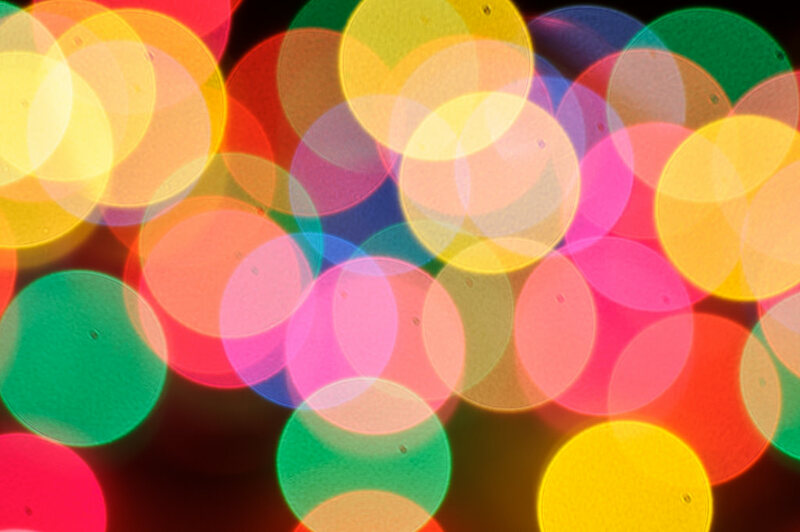 Every time I try to click some cool bokeh, it shows some deformed black spots of bokehs… Could you plz tell the way in which we can clean the rear side of the lens? I have seen this from front element dust on my fuji x100s I know it’s from tr frot element since it is a fixed lens camera.